"In this age it is very difficult to follow thoroughly the regulative principles and studies of the Vedas which were formerly recommended. 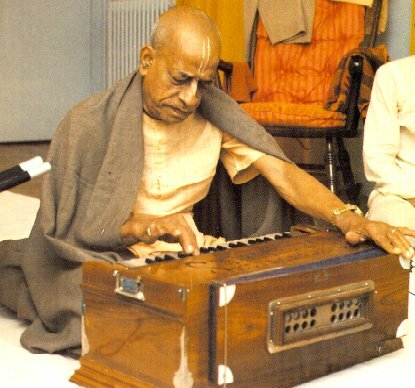 However, if one gives aural reception to the sound vibrated by great devotees and acaryas, that alone will give him relief from all material contamination. Therefore it is the recommendation of Caitanya Mahaprabhu that one should simply hear from authorities who are actually devotees of the Lord. Hearing from professional men will not help. If we hear from those who are actually self-realized, then the nectarean rivers, like those which are flowing on the moon planet, will flow into our ears."